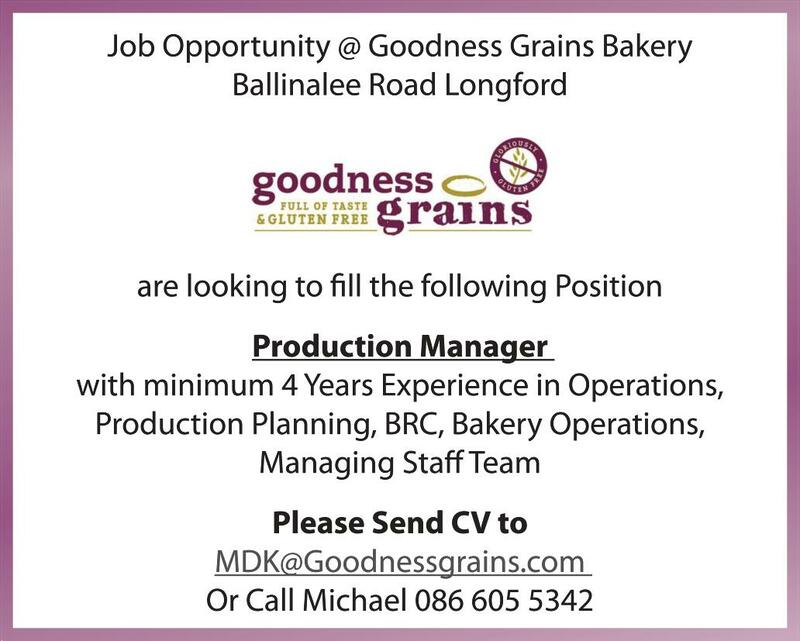 Goodness Grains Bakery, based on the Ballinalee Road in Longford town are looking to recruit a Production Manager. The ideal candidate should have a minimum of four years experience in operations, production planning, BRC, bakery operations and managing staff team. Please send CV to MDK@Goodnessgrains.com or call Michael 086 605 5342.